Running, walking, etc. eff ective for reinforced exercise of heart and lung functions. When there is a big daily crossing like these days of change of season, cough noises are starting to be often heard here and there. One may be exposed to a cold air or even catch a cold and deteriorate into asthma in many cases as side effects. Immunity substance is generated independently from the body and plays a role of making sure that the hospital germs do not enter the body. If the immunity gets stronger, even if there is an exposure to hospital germs, effects will be less received. Even if one has caught a disease, those who have strong immunity and healthy people have fast treatments, but on the other side, in the case of immunity befalling elderly and weak people, treatments may be slow or diffi cult. Accordingly, growing immunity is the best method of guarding health. When immunity falls off, one would frequently catch cold and one easily gets infl ammation in eyes or mouth. And even the frequency of stomach ache and diarrhea is an evidence of weakened immunity. Hence taking care of immunity would be the biggest short-cut path to guarding the health of change of season. The exercise that is directly connected to the improvement of immunity is a cardiopulmonary function reinforcement exercise. The basics of cardiopulmonary- reinforcement exercise is to the extent of slight panting of breath. It would be the best to defi nitely solidify basic physical strength with consistent exercises such as running, walking, double run, hiking, swimming, upside-down handstand, jumping rope, volleyball, basketball, diving, breath endurance, etc. After fi nishing dinner, let’s go to a nearby park or apartment complex, athletic school field, etc. to take a walk or engage in a light exercise. Adrenal glands cortex hormone and thyroid gland hormone have been revealed as most rapidly increasing secretion volume through the exercises around 7 p.m., but these hormones increase the metabolism and expand the effect of exercise. Also, nighttime exercise plays a role of heightening immunity and promoting secretion of growth hormone and melatonin in the brain when sleeping. If we usually train our skin through sunbathing, we do not easily catch cold or allergy disease. But the time good for sunbathing would be morning time between 10 a.m. and noon. And it is said that keeping home environment clean every day is important as “bed cover, blanket, pillow, carpet, curtain, sofa are also major causes of dropping immunity as they bring over dust and fungus and germs.” Even among food in life, there are many good things to increasing immunity. Korea’s kimchi or soybean paste, rich soybean paste stew, soybean sauce or other fermented food is known to have a sterilization and refi ning effects as well as high carcinogenic effects. It is preferable to frequently put the fermented food on the dinner table. In the rice that we eat as main staple, there are immunity reinforcement ingredients and in the minor grains of brown rice, Indian millet, barley, adlay, millet, buckwheat, there is an effect of heightening immunity and preventing cancer by raising body’s resistance. In the vegetables, there are fibers, vitamin A, B and C, calcium, phosphorous, iron, manganese and other inorganic substances and the effect is excellent in making our body’s metabolism smooth. Propolis is made by honey bees and is a product that is collected from the bee hive. 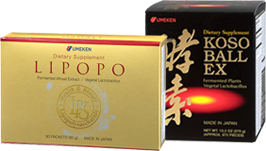 As it has antibacterial traits regarding bacteria, virus, fungi, etc., it helps with disease prevention and treatment. And it also has a function of preventing aging and adult diseases in advance by suppressing dissolution of active oxygen due to stress, overdrinking, etc. 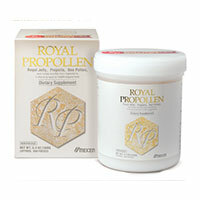 One serving of Royal Propollen contains 30mg of 10H2DA, the key to royal jelly's effectiveness, which corresponds to 2,000mg of undiluted raw royal jelly. This ingredient, along with the highest quality green propolis extract from the Brazilian baccharis tree, and bee pollen are all mixed with honey and shaped into a ball form.